Rentalcargroup.com offers car rental in more than 35000 locations, at all major airports and cities and railway stations. Below on this page you see a map with all the car rental companies we work with in Djibouti. In the Horn of Africa, bordering Ethiopia on the south and west, Somalia on the Southeast, Eritrea on the north lies Djibouti, formally referred to as the Republic of Djibouti. The remaining part of the border is taken by the Red Sea, along with the Gulf of Aden. 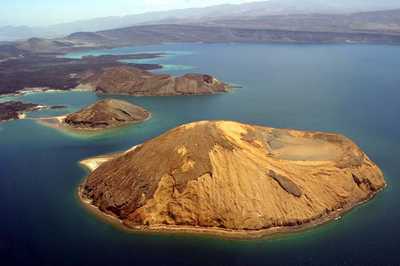 Djibouti is one of the most sparsely populated countries in Africa. The country remains among Africa’s most sought after destinations as far as tourism is concerned. There’s plenty to see in the country, particularly rivers and lakes. If you have plans to visit the country you are not going to get disappointed, because there is plenty to see. What about accommodation in Djibouti? Hotel Europe among many others. How do I get around Djibouti? There is a wide range of travel options in Djibouti. Taxis and buses are available in plenty. However, buses must be booked in advance especially if you are traveling to a far off destination, to avoid last minute hustles and bustles. A tourist who has plans to venture into native Djibouti should preferably rent a car. This should not pose a challenge because car rental companies are available in plenty, and they offer cheap car hire services. I want to rent a car, what currency should I have? The Djibouti Franc is the official currency of the country of Djibouti. You need to have a couple of the same to pay for services like car rental among others. On the other hand, you need to understand that the countrymen speak French, Arabic, Afar and Somali, so if you would like to interact with the natives of the country, you should preferably know a few phrases of the languages. French and Arabic are, however, the official languages of Djibouti. When is the best time to visit Djibouti? The most appropriate time to visit the country is from November to mid-April. The country usually has a pleasant weather at this time. The remaining part of the year is usually awfully hot. What are the top tourist destinations in the country? The country has plenty of destinations to tour either in the city of Djibouti or the in the countryside. Get in touch with a cheap car hire company and get to tour the country in style. If you love beaches, Tadjoura bay, Dorale and Kor Ambad will be waiting for you. There are games you can indulge in, which include snorkeling, swimming, diving among many others. Visit Lake Assal and see a wide range of active volcanoes. If you love bird watching, Lake Abbe is the best destination for you. It gets frequented by a wide range birds. The city of Djibouti has an exceptional Arab feel, and it has plenty of destinations you can indulge in during your stay. Last month, the average car rental length in Djibouti was 0 days. The average rental car length in Djibouti is 0 days. The most booked rental car type currently in Djibouti is cars. Last year, the most booked rental car type in Djibouti were cars. How much does it cost to rent a car in Djibouti? Last month, the average car rental price was 0 USD. Last year, how much did it cost to rent a car in Djibouti? Last year, the average car rental price was 0 USD. What is the current average daily price to rent a in Djibouti? Last month, the average rental price was NAN USD per day. How much did it cost to rent a car in Djibouti over the past 12 months? Last Year, the average rental price was NAN USD per day. The car rental companies available in Djibouti are: . See below last 5 customer reviews. Our customers rated Djibouti Car Rental with an average of 10.00 based on 1 ratings.